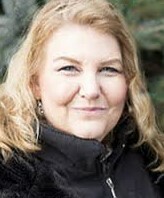 Dr. Cassandra A. Erickson is an experienced Indianapolis Therapist and Counselor specializing in Marriage, Couples, Family and Individual Stress or Trauma. Dr. Erickson will provide you with the professional assistance and support you need during difficult times. Whether you are coping with marital issues, stress, depression or grief, Dr. Erickson can help. Dr. Erickson's services include counseling adults, children and adolescents in individual therapy, couple / marriage counseling and family therapy. Her specialty is in stress and trauma therapy, including Post-traumatic Stress Disorder. Dr. Erickson's Indianapolis therapy and counseling office is conveniently located on W. 86th Street in the 2020 building across from St. Vincent's Hospital. Her office is designed with a separate exit for your privacy when leaving after a therapy session.